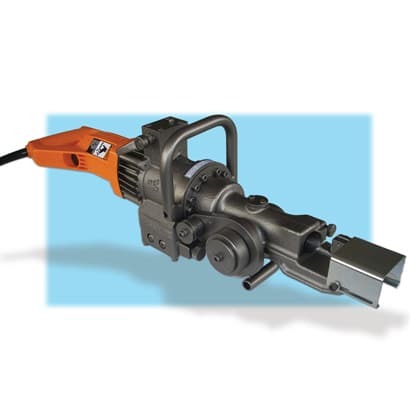 The DBC-16H Combination Rebar Cutter/Bender. This portable combination tool provides jobsite cutting and bending of rebar (reinforcing steel) all in one tool. The unique design of this combination unit provides the operator the ability to cut and bend rebar for in-place rebar or stationary fabrication applications. Now you have the ability to cut and bend rebar and to fabricate what you need. Our powerful electric/hydraulic design is for up to #5 (16 mm) grade 60 rebar. It's fast and easy to use, there is no changing of attachments and it bends rebar up to 180 degrees. This tool was built with the quality & reliability you would expect from BN Products-USA. This tool was named as one of the most innovative products at the World of Concrete Exposition and will save you time and money doing on-site fabrication. 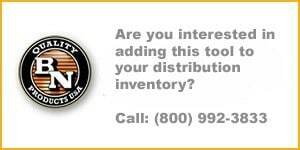 We include a steel carrying case, tool kit, hydraulic oil, operations manual, and a one year parts and labor warranty.